Temporary Jobs or Stepping Stones? Your Employment Solutions, Utah’s only customized staffing agency, has partnered with over 100 Utah companies to provide employment to thousands of Utahns each year. Helps you gain a variety of skills and experience. Gets you out of the house and motivated to look for work. Can open the door for a long-term position. Gives you an opportunity to “test drive” and employer before committing. Keeps your skills and abilities sharp. Prevents you from having large holes in your resume. Keeps you out of the unemployment line. Ultimately, I want to point out that temporary jobs keep you moving towards your dream job just as stepping-stone paths lead you from paint A to point B. How is that, you ask? Well, not everyone lands their dream job right out of school, or even knows what their dream job is when they get out of school. Many people go into the workplace and have a feeling of wandering and a sense of being lost. 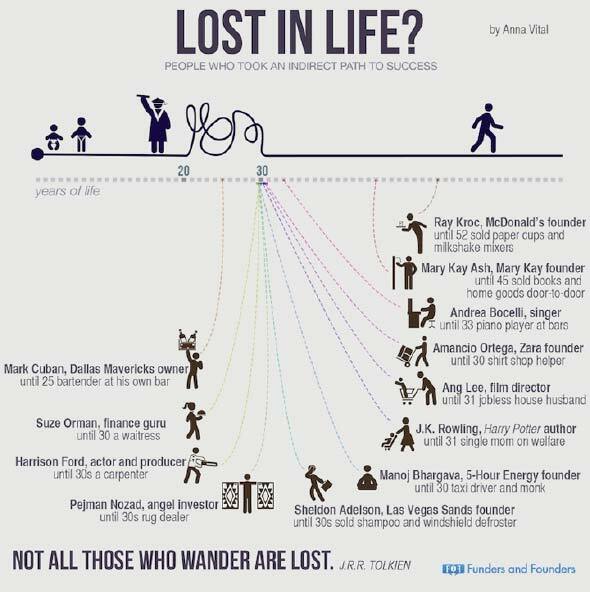 However, “Not all those who wander are lost.” -J.R.R. Tolkien. These are a handful of well-known individuals who got their start after having worked in jobs that were not glamorous, were not high paying, were not their dream jobs, and yet they used those jobs as stepping-stones until they found their dream jobs. Another excellent example is Milton Hershey, the founder of the Hersey’s Chocolate Empire. He was a grade-school drop out (never completed 4th grade) and started to work in the printing industry. But as we know, he’s not a famous printing press operator, no, he was fired from that job and then he took a job in the candy-making industry. He used the skills he learned from that job to create the Hershey’s Chocolate Company in 1900 at the age of 43. The rest is history. Whether you are in your 20’s and just setting out on your path to find your dream job or if you’re latter on in your life and still feeling a little lost and wandering, just keep putting one foot in front of the other on those stepping-stone temporary jobs until you find what you’re looking for. P.S. If this topic interests you, I recommend you also review my other post: How to find a J-O-B you’ll L-O-V-E .